Yes, I am talking to YOU. Each and EVERY single one of you! It is because of all of you that this little ol' blog of mine has continued! Thanks to your love, motivation, enthusiasm, and support I come back to this computer and pour my heart out to you amazing peeps. Seriously, thank you just isn't enough! So to celebrate all of you, I am giving EVERY FOLLOWER my newest TPT pack! 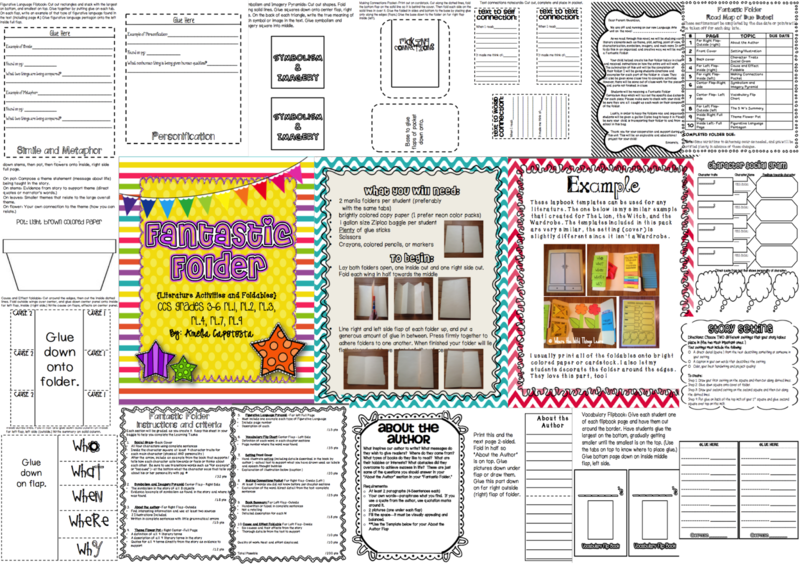 This 40 page pack includes foldables to create your own Fantastic Folder with your kiddos! 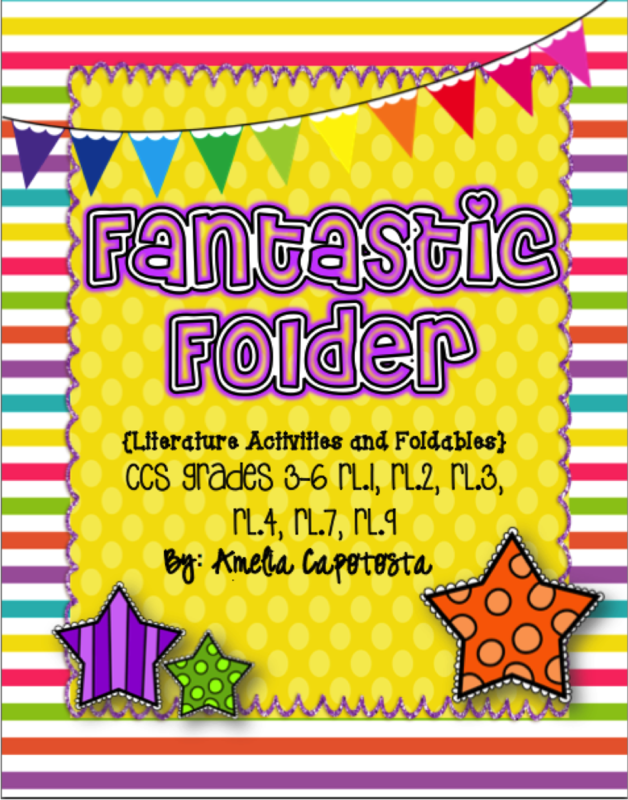 This fun and interactive folder includes activities that covers 7 CCS standards. My first Made-It is a classroom made-it! I have seen those "In Our Family" signs all over Pinterest and a few for classrooms, so I wanted to make one for myself! So I set out for a few supplies: Insulation Board from Lowes, Paintbrushes, brown spray paint, white-blue-lime green paint, and stencils. Here are some photos of what I created! 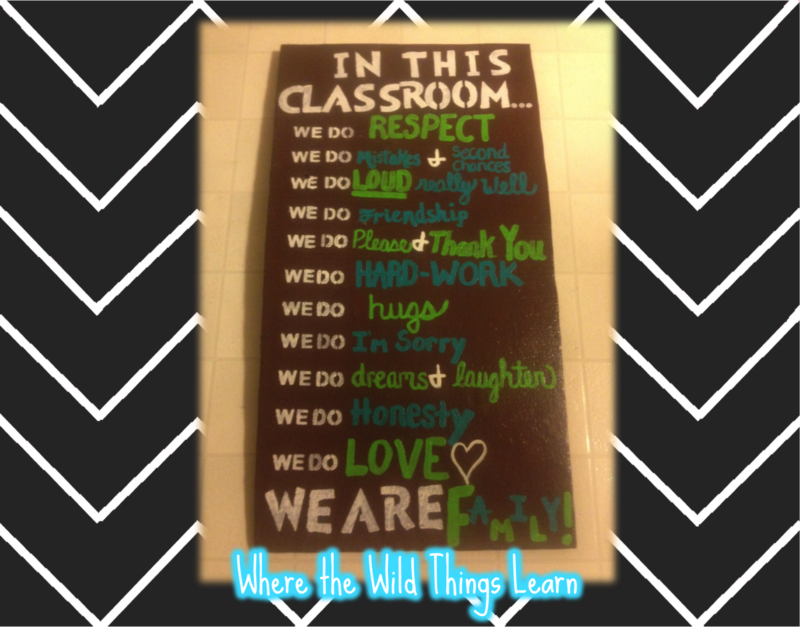 I stenciled the words "In Our Classroom We..." and "We Do" and "We Are" then I hand painted the rest. My second made it is for our bedroom! If you saw in an earlier post, we painted the wall behind our bed black with gold glitter. This has been the theme colors for our master bedroom and bathroom. 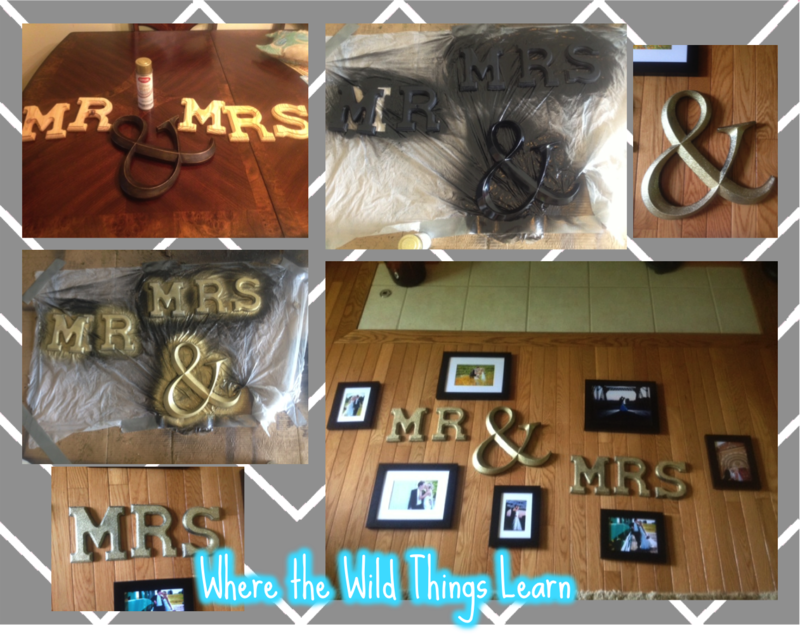 I wanted to spice up the wall behind us, so I set out for a project! So head on over and link up with the amazing Tara. Thanks for the great freebie! Can't wait to explore it and modify for my second graders :) Yippee! Your welcome! So glad you'll get to enjoy it:) Thanks for following! Thank you so much! I was ECSTATIC when I hit 50! Congrats :) Thanks for following me! Congrats on reaching 300 followers! Thank you so much for the wonderful freebie! 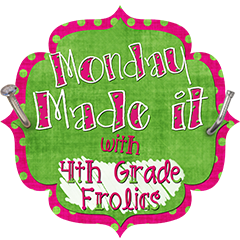 I can't wait to download it and use it with my sweet second graders! Your "In this classroom..." sign is adorable!! I made a version of it for my classroom this year and my kiddos love it!! And a black with glitter wall in your bedroom?! That sounds amazing!! I can't wait to see pictures with your cute letters and pictures up!! Congrats on 300 followers!! Congratulations! Thank you for such a great freebie. I can't wait to use it with my kiddos next year. Thanks so much! I am so glad you'll be able to us it :) THANKS for following! Thank you so much for your laptop freebie! Congrats on your new milestone! 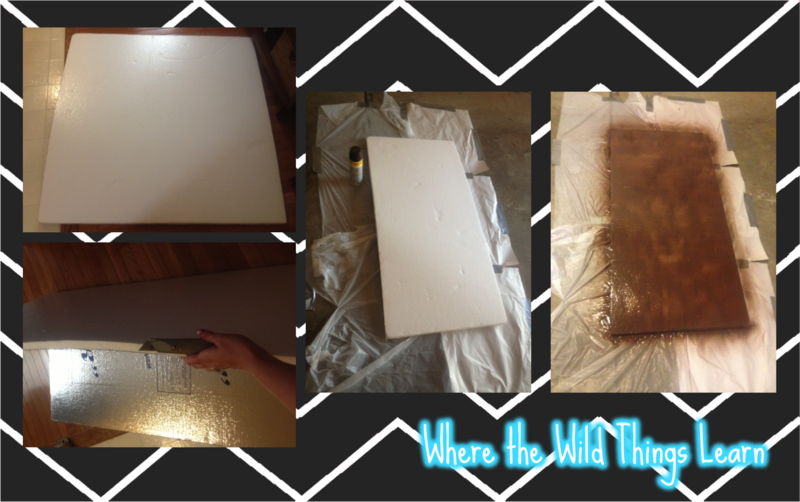 I love your DIY project! So cute! I am thinking of a similar idea for my wedding pics next year! Thank you so much, Julie! 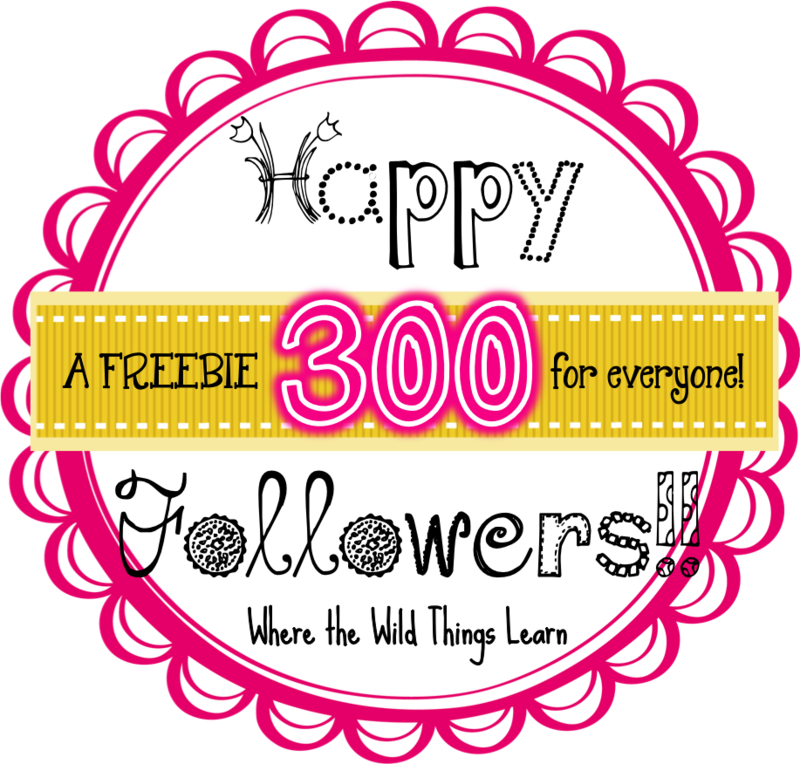 I am so glad you will be able to use the freebie :) Thanks for following! Congrats! And thanks for the awesome freebie. Can't wait to check it out!! Thanks for the GREAT freebie! I can't wait to use it! Of course!! Enjoy :) Thanks SO much for following! Did you see that you were featured in the TPT newsletter? AWESOME! !